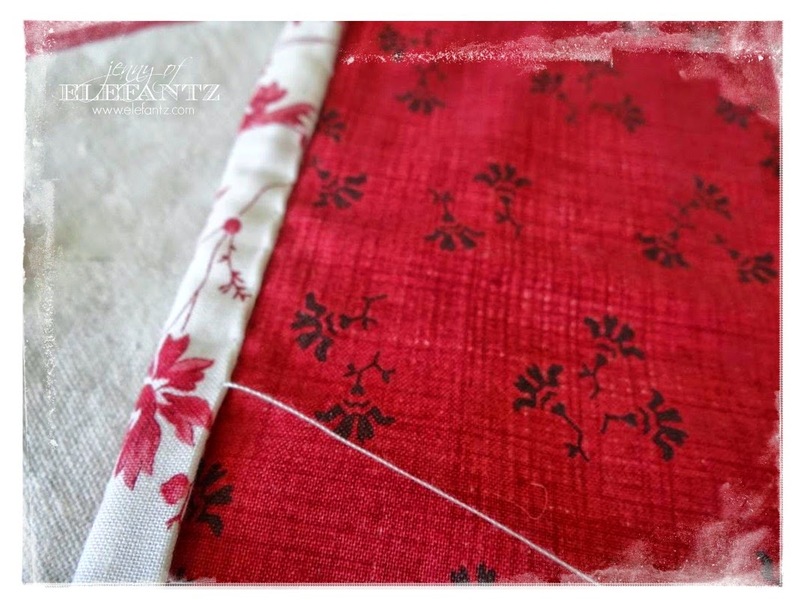 I'm not going to share another tutorial for making and attaching binding today because I have one HERE, but what I am sharing are a few very simple things you can do for a clean finish to your binding, as well as some binding options you might not have thought of before. 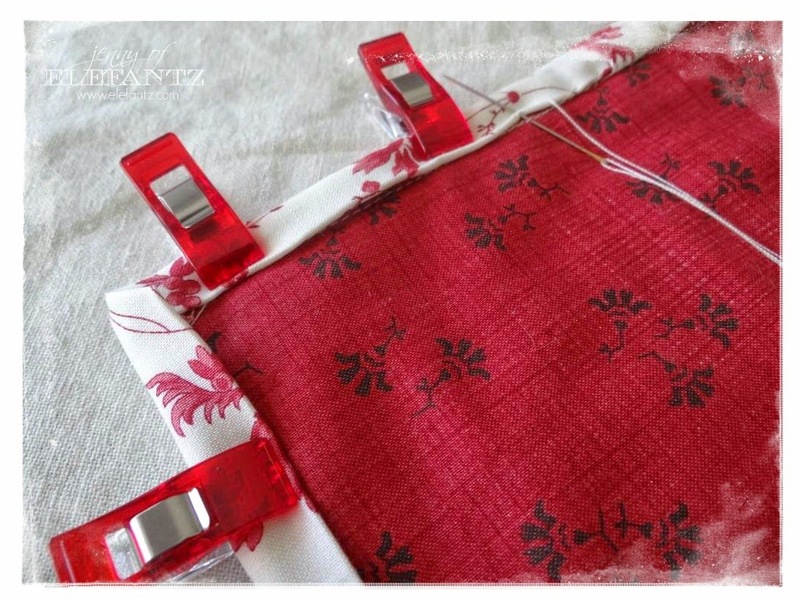 So you've finished your quilt, wall hanging, table topper - whatever project you've made that has a binding edge - and you've made your binding and attached it to the outside front edge of your quilt. The next step is to press the binding over the raw edge to the back of the quilt for hand-stitching. I used to pin my binding in place, but tended to stab my fingers with the sharp pin points along the way, so I stopped pinning a few years back and just stitched slowly while I held the binding down with my left hand. By the time I'd finished sewing down my binding, especially on a large quilt, my left hand thumb would throb for days, but all that has come to an end! Recently I discovered these incredibly useful little Wonder Clips that hold the binding for you as you stitch! Wonder Clips are on sale at Massdrop right now, and so much cheaper than anywhere else I've found! Go HERE to purchase a 50 pack of Wonder Clips for 45% off. I love a bargain! 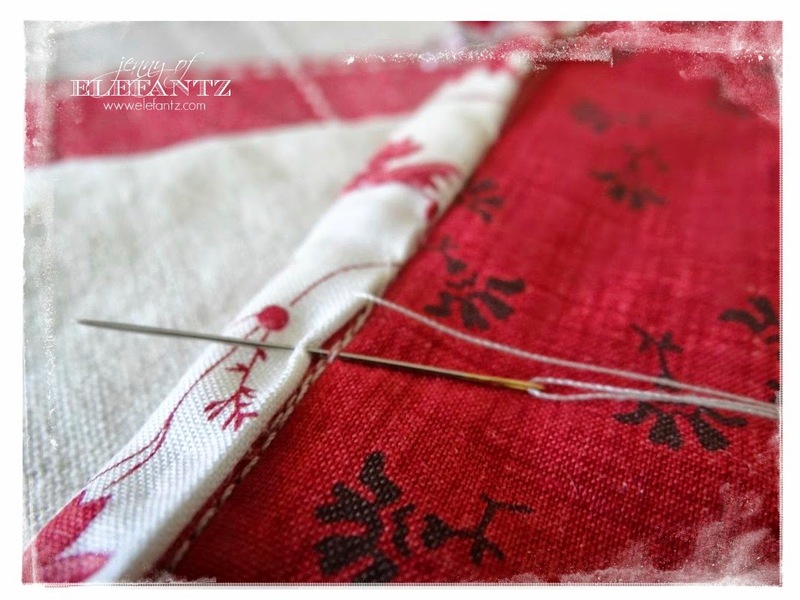 Always choose a sewing thread as close in colour to your binding fabric as you can. 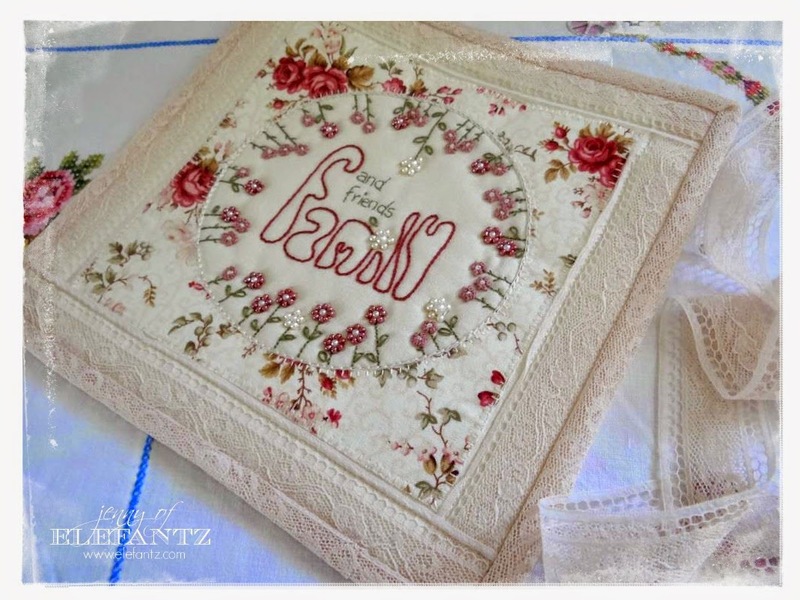 Quilting fabric is almost always the choice we make when planning to bind our completed quilts or similar items, but for some projects I like to use lace. 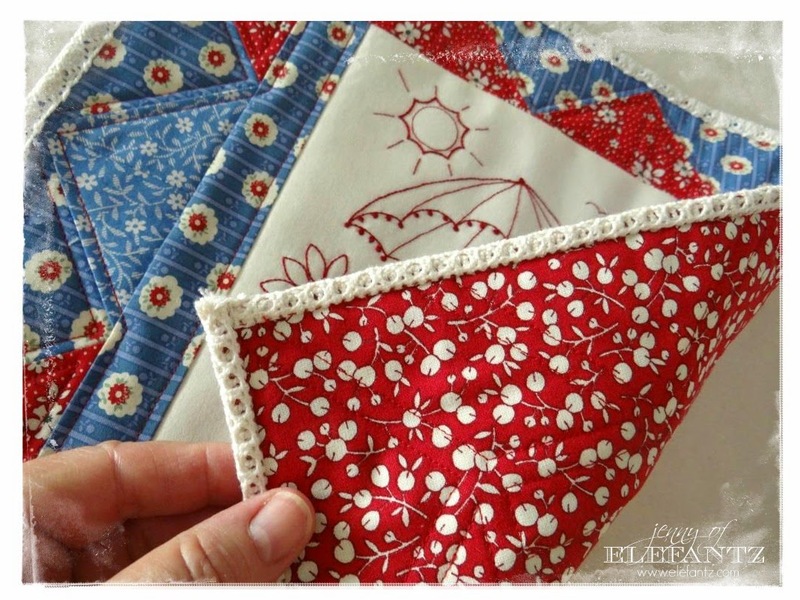 Lace is not folded in half as cotton quilt binding is. For a sturdier project crochet cotton lace is a great option! 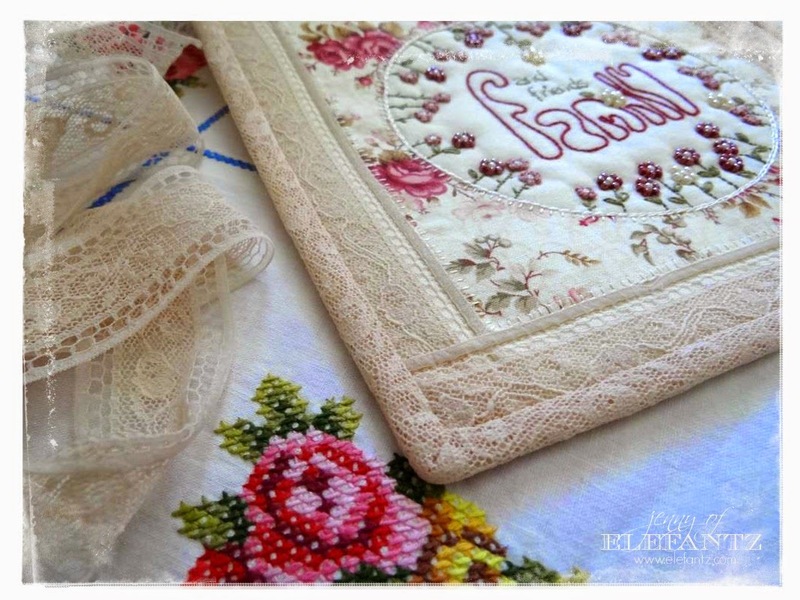 I chose regular 1" wide crochet cotton lace for the binding, which is commonly available at most sewing stores and online, as it added a touch of vintage to 1930's repro fabrics used in the mini quilt piecing. 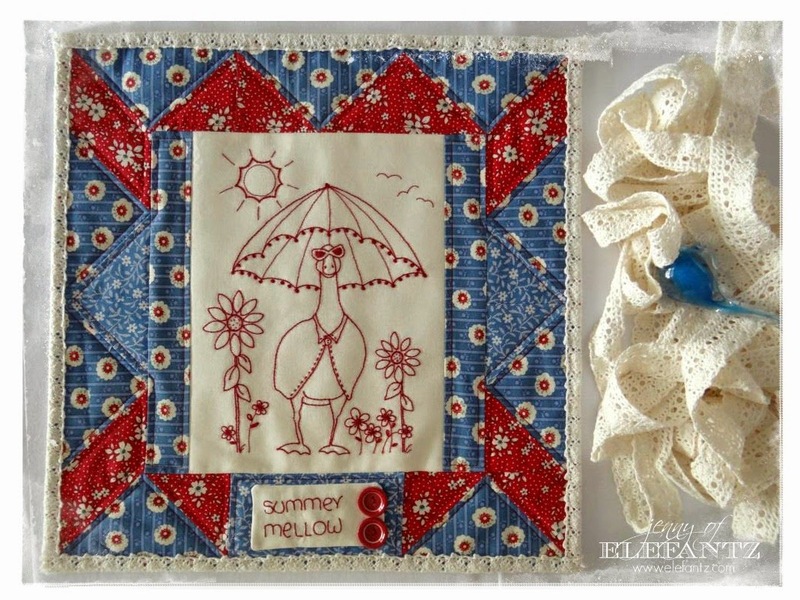 With "Summer Mellow" I wanted the scalloped edge of the crochet lace to feature on the front of the quilt so I sewed the straight edge of the lace along the back of the quilt first, then turned the binding lace over to the front - opposite to how you would normally attach your binding. Using a cream Perle #12 thread, I sewed the lace down around the front edge with running stitch just inside the scallop of the lace. 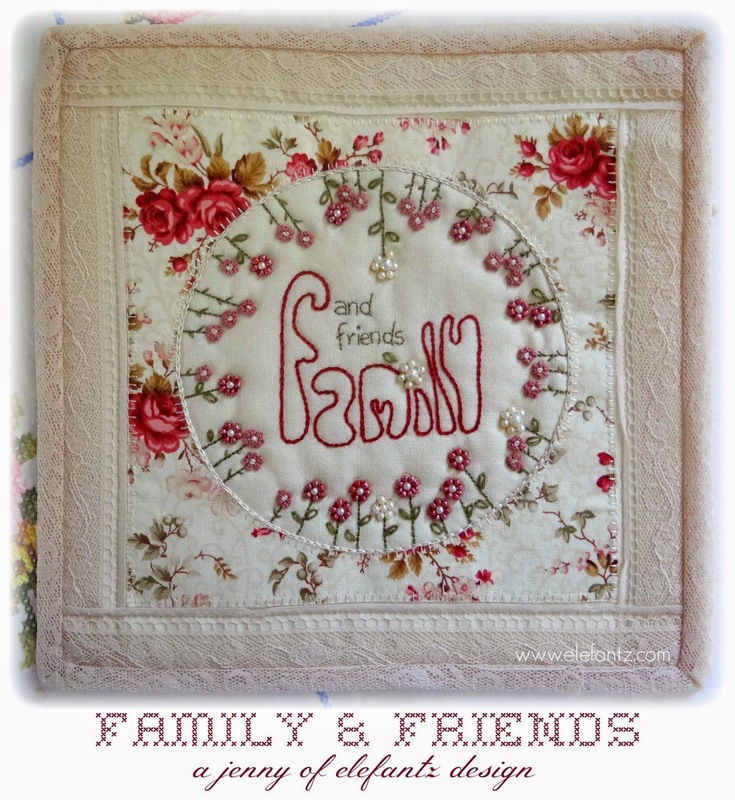 The binding is the final step of a quilt and deserves as much care and fore-thought as the quilt itself in my opinion, so I hope those simple ideas have been of help, or given you food for thought with binding options for future projects. 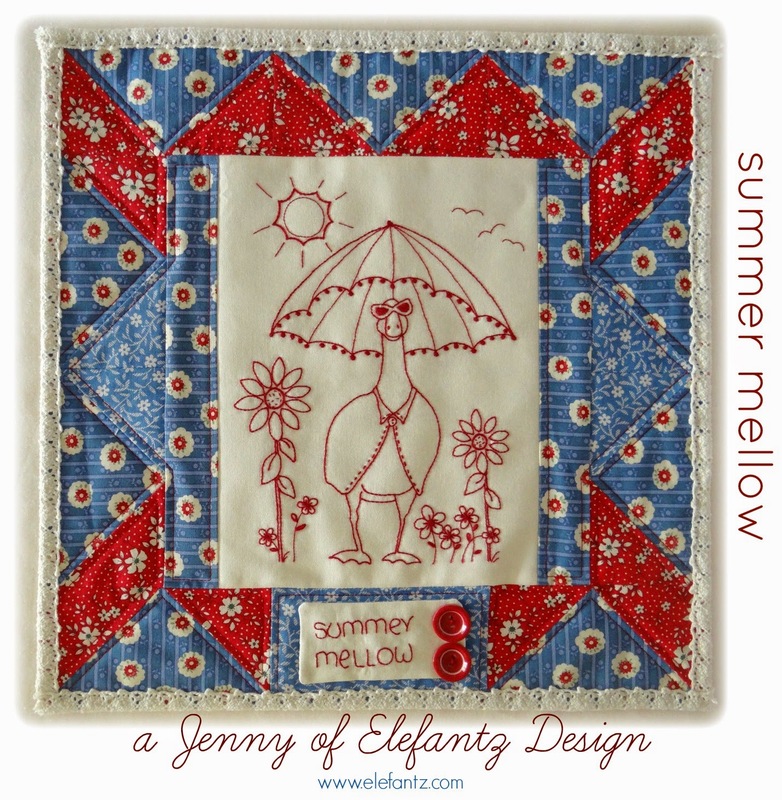 The PDF patterns for "Summer Mellow" and "Family & Friends" are both HERE. If you've used something other than fabric to bind a quilt would you leave a comment and share your idea with us, please? These are all really great tips, Jenny, thank you so much. I love hand sewing on the binding and those clips are the best, I found them here and love them! Thanks for the great ideas, Jenny. My Mum always taught me to cut the bias on the diagonal. I found some people cut it on the straight of the fabric and not the diagonal. Although I notice it works fine with the lace. Thank you for the great tips. Have never tried anything other than fabric to use as binding. The lace looks lovely. I like the lace to bind with idea. Never tried it before...It looks fabulous. i would have never thought to use lace for binding. I like it. Hola Jenny, muchas gracias por compartir tus diseños y consejos para la costura y el bordado. Admiro tus trabajos; el Señor te ha dado un gran don. Te envío un afectuoso saludo desde Colombia. Love your non-traditional bindings! 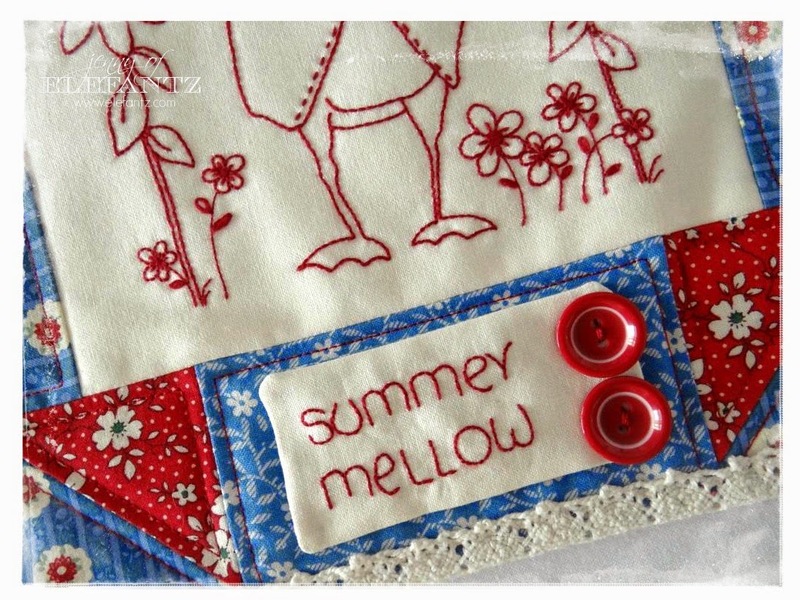 On a baby quilt I had some really wide rickrack that I ironed in half, used the clips and sewed it on the quilt with my sewing machine - it left really cute flippies for the baby to play with. Best of all, no hand sewing!! !